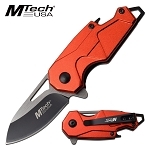 Mtech USA cleaver blade spring assisted folding pocket knife. This great knife if 7.75 inch overall open length. 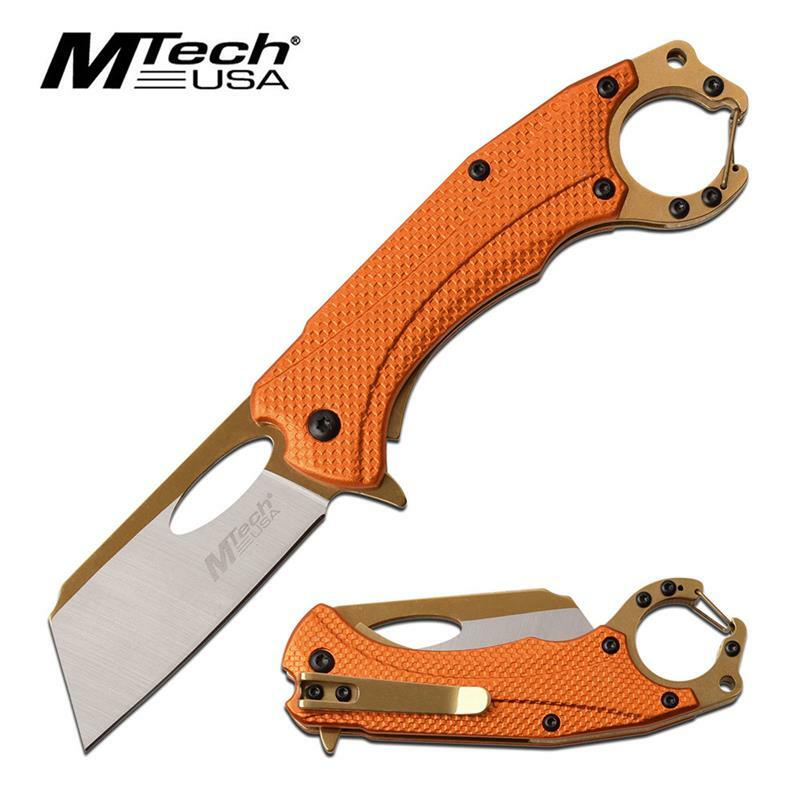 Mtech USA cleaver blade spring assisted folding pocket knife. 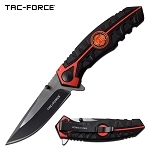 This great knife if 7.75 inch overall open length. 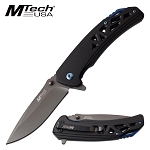 The blade is cleaver style tinite coated and satin two tone 3cr13 steel and 2.5 inch in length. Handle length is 4.25 inch anodized aluminum handle. It includes pocket clip, carabiner and bottle opener.